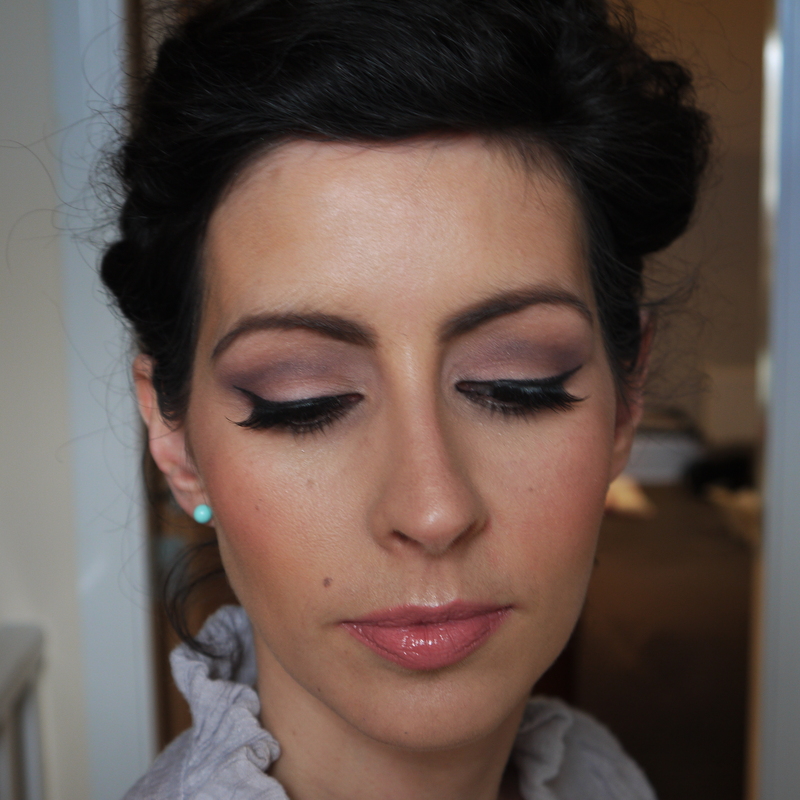 The second of this month’s bridal looks is using purples which would be ideal for a winter wedding to give that slightly darker look. Whilst a lot of brides tend to go for neutral colours such as browns and golds, its always nice to have other options for brides that want something slightly different. Purple is always a winner for those that have brown, hazel or green eyes, it really makes them pop and you only need to use a hint of colour to transform a look. Foundation – BUFF HD Foundation – really well buffed into the skin to give a medium to full coverage. This foundation is suitable for all skin types and will leave the skin with a satin finish. 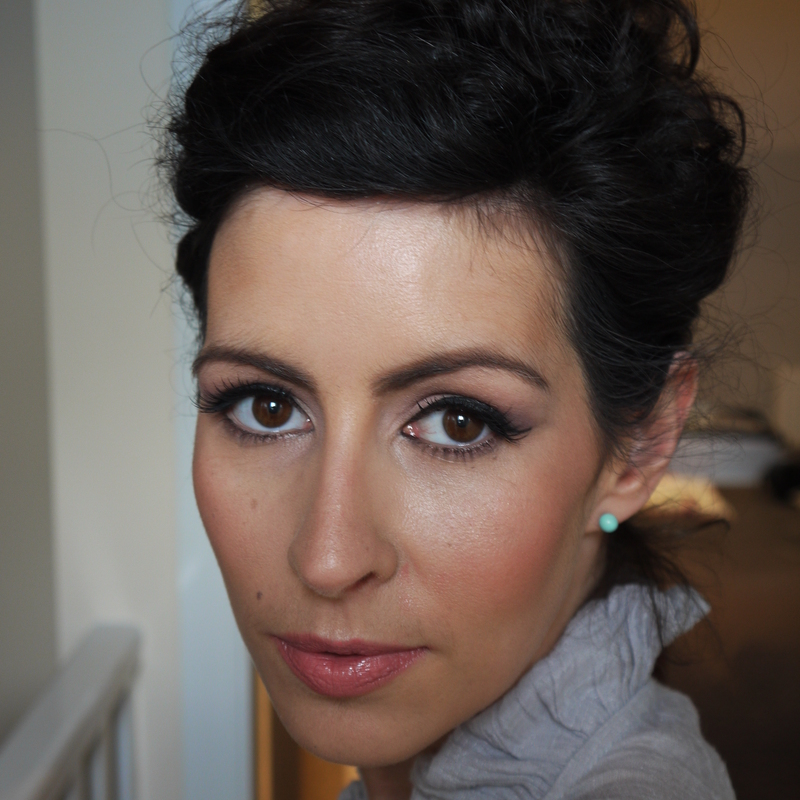 Blush – MAC Pinch O’Peach – this is a really nice matt soft pink colour, applied to the apples of the cheeks and blended upwards towards the ears Face Powder – MAC Studio Fix Powder Plus Foundation – I used this to get slightly more coverage on certain parts of the face, but kept the cheeks and nose dewy. 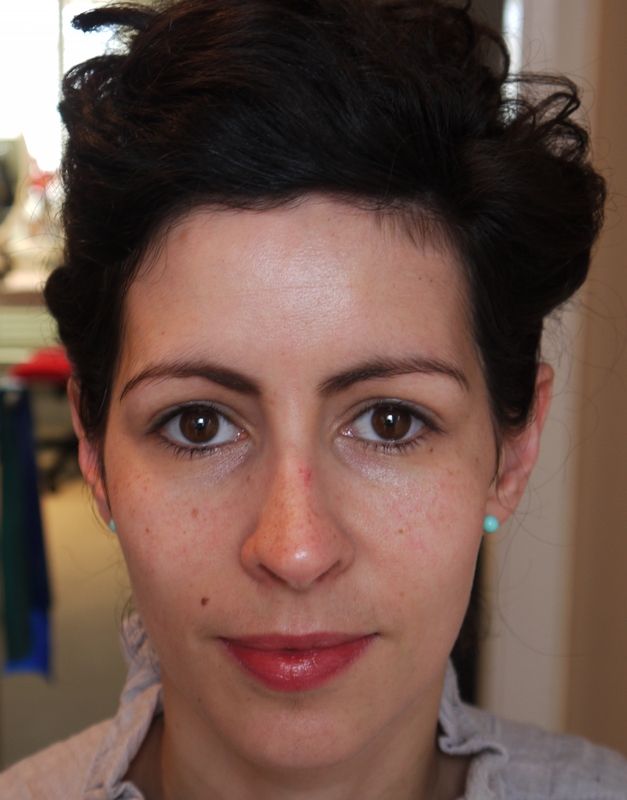 Base/Primer – MAC Painterly applied all over the lid and up to the brow to give a really even base to work on. This provides a base for the eye shadow to stick to and helps the eye shadow last longer Eye Shadows – MAC Yoghurt was applied all over the lid where the Painterly had been applied and blended in. Through the crease MAC Blackberry was then applied using a MAC 217 brush and blended. 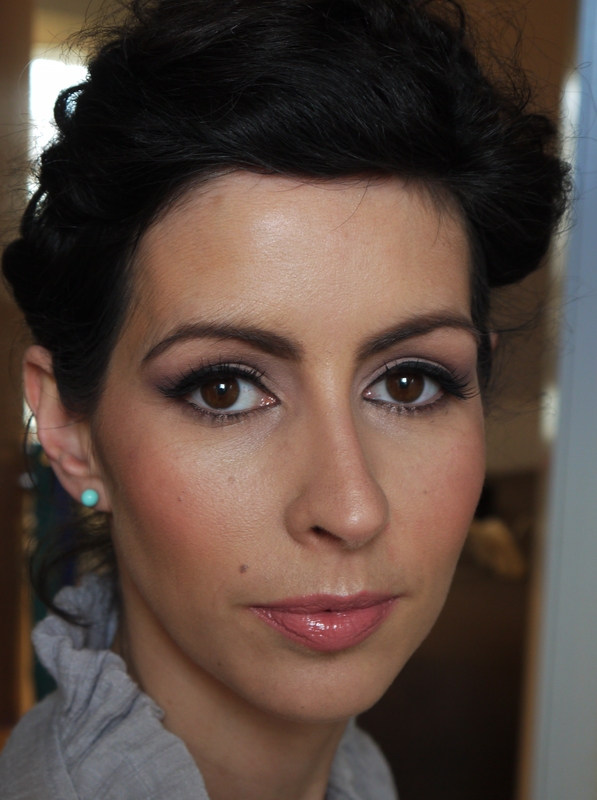 Using the 239 brush, MAC Blackberry was applied under the lower lashline to give some definition to the eyes. Eyeliner – Maybelline Eyestudio Lasting Drama Eyeliner in Black – along the top lash line following the natural shape of the eye and winging it up to create a feline flick.. To make the eyes open up a little I used MAC Naked Liner pencil on the inside of the lower lash line.